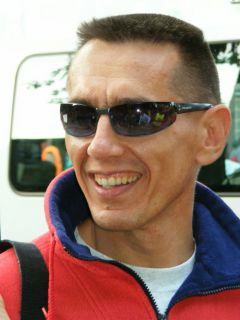 My name is Frank van Geesink, IT consultant and fanatic sporter. During my life, table tennis has been very important, but at a certain point I started with scuba diving. In the mean time I have seen some very nice places under water around the world. After an injury, I had to revalidate and then I realized that it’s very important to exercise your body. A documentary with Will Smith about the film ‘Ali’ convinced me to start boxing. Boxing is a sport where you body needs to be in excellent shape and where power, speed and agility are well trained. 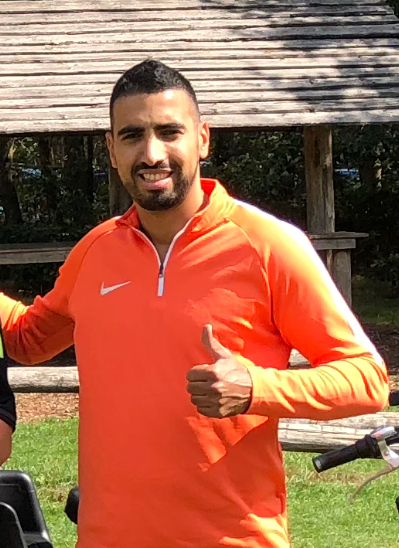 After two years of boxing at the University, I joined the ABCC in Apeldoorn and I started the box trainer course with the Dutch boxing association. In 2005 I started training a competition group of boxers at ‘The Grondleggers’. We had some matches with the boxers of the ABCC and we also successfully participated in the Dutch Student Championship Boxing.It is a pleasure to see that girls and boys extend their limits during the box training and also enjoy themselves with the other activities organized by ‘The Grondleggers’. If you would like to join us for a training, feel free to drop by. During my life, kickboxing has been very important for me. I started playing soccer and after that basketball but I soon found out that team sports are not for me. When I was seventeen I went to the famous kickboxing gym ‘Bully’s Gym’ with my neighbour who was a world champion at that moment. He was my example and after one training I was in love with the sport. I started training very hard and had one goal and that was becoming a competition fighter. After a year of hard training my trainer told me I was ready to fight competition. My first fight i was very nervous and unfortunately I lost on points. I learned a lot that fight and after the loss I started training very hard again, I got a second fight and won this convincingly. Now I was a competition fighter at one of the best gyms in the Netherlands and Europe. I had fights throughout Europe and won most of them. I became a professional fighter when I was 25 years and after two years of fighting professional I got the chance to start my own gym in Wageningen. It was a chance I had to take, and I did. My goal is to make Wageningen the martial arts city of the province of Gelderland. I love teaching the sport kickboxing to others, so I am glad to get the opportunity to work with the students of ‘The Grondleggers’. I hope I can teach them everything I know, and let them extend their limits. Are you interested in Kickboxing? Don’t hesitate and feel free to drop by for a trial training!